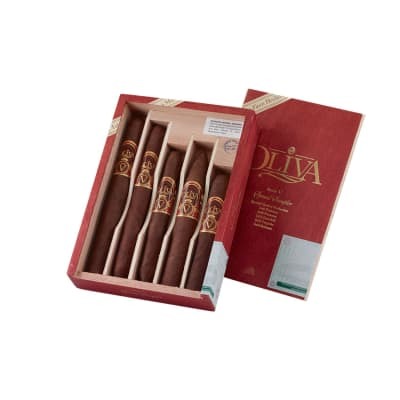 This 4-cigar Oliva Master Blends 3 2006 box set represents the Crown Jewels of The Oliva Family. 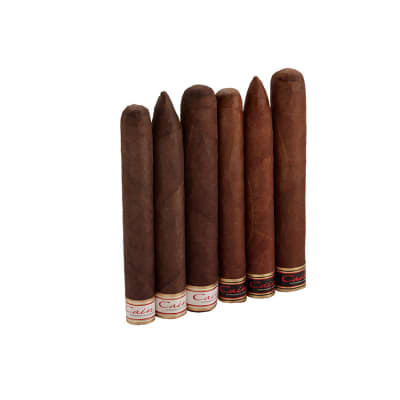 Rare, estate-vintage, Nicaraguan Ligero longfiller leaves and Sun-Grown Broadleaf wrappers meld into a potent and unparalleled complex smoke that the seasoned palate will relish with delight. the MB3 is consistently amazing. great cigar. 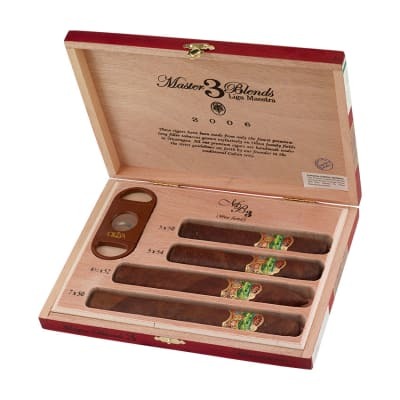 I have been smoking the Oliva Masterblend 3 for about 2 years & it never gets old. I had the opportunity to try #2 but not #1. I have aged Master 3 & they seem to get sweeter. When aged the wrapper goes from that chocolate brown to almost a golden reddish color. This is a full bodied smoke as far as I am concerned. Sweet, coffee, spice, and somewhere in there.....a little bit of a tang!!! All I can say is WOW!! This is, by far, one of the best cigars I have smoked. Perfect draw, lots of smoke, incredible aroma, definitely a cigar to burn to the nub. 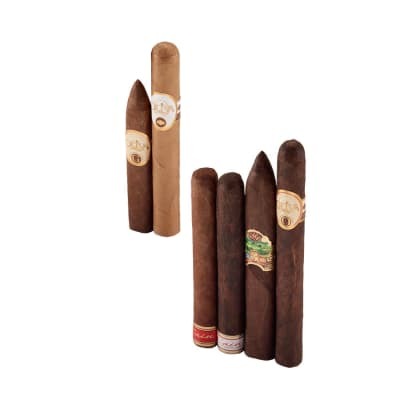 The first few puffs are eye-opening (bold), but then it mellows out into a very flavorful, complex smoke. 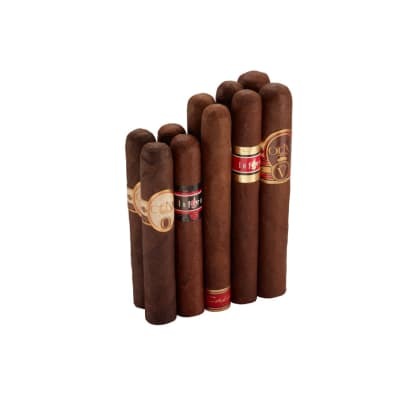 The wrapper has a reddish hue, much like the Partagas Spanish Rosado. The burn was relatively even (I probably smoked these too fast, which I tend to do when I really like a cigar). Perfect construction. I would easily rate this in the HIGH 9's.